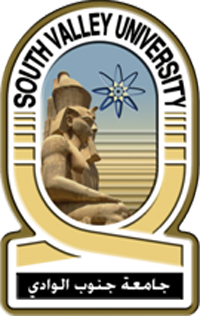 South Valley University in Cairo is a university in Qena, Qena, Egypt. Egypt ranking #10 in the Egypt top universities. It’s motto is N/A. It was established in 1995. It is a Public University. The president of this university is Prof.Dr. Abbas Mohamed Mansour. The total students studying in this university are 42,000. The German University in Cairo is a university in New Cairo, Cairo, Egypt. Egypt ranking #9 in the Egypt top universities. It’s motto is “Education for Global Excellence”. It was established in October, 2003. It is a Private University. The president of this university is Mahmoud Abdelkader. The total students studying in this university are 8400. Tanta University is a university in Tanta, Al Gharbiyah governorate, Egypt. Egypt ranking #8 in the Egypt top universities.It was established in 1962. It is a Public University. 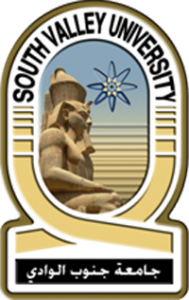 Assiut University is a university in Assiut, Egypt. Egypt ranking #7 in the Egypt top universities. It was established in 1957. It is a Public University. The president of this university is Prof.Mostafa Mohamed Kamal. The total students studying in this university are 87,274. Zagazig University is a university in Zagazig, Egypt. Egypt ranking #6 in the Egypt top universities. It was established in 1974. It is a Public University. The president of this university is Maher el Domiaty. Ain Shams University is a university in Cairo, Egypt. Egypt ranking #5 in the Egypt top universities. It was established in July 1950. It is a Public University. The president of this university is Mohamed Maged Eldeeb. Helwan University is a university in Helwan, Egypt. Egypt ranking #4 in the Egypt top universities. It was established in July 26, 1975. It is a Punblic University. The president of this university is Prof. Dr. Mahmud al-Tayyib Nasir. Mansoura University is a university in Mansoura, Dakahliya, Egypt. Egypt ranking #3 in the Egypt top universities. It was established in 1972. It is a Public University. The president of this university is Prof. Ahmed M. B. Shehab El-Din. The American University in Cairo is a university in Cairo, Egypt. Egypt. ranking #2 in the Egypt top universities. It was established in 1919.It is a Private University. The president of this university is Lisa Anderson. The total students studying in this university are 6,553. This was the complete list according to the Top 10 Universities in Egypt (leading universities in Egypt). I like Cairo University for its reputation in Africa, I’m preparing to take up a bachelor of Science in Actuarial Science at CU.